The Messy Church on Sunday 03rd June was held on the lawns of the churchyard in beautiful sunshine. We had crafts and stories together with singing and accompanied this time by two guitarists. All the activities were followed by tasty small bites, hot dogs, hamburgers and soft drinks; the open spaces of the churchyard provided a great safe place for the younger ones to play afterwards. See you next time – Sunday 01st July. Messy Church is on the First Sunday of each month 11.00am to 12.00pm. During Holy Week (the week before Easter) there is a Messy Church Holiday Club held every weekday 10.30 am to 12.30pm, where there are games, singing, music, crafts, stories and activities for all children to take part and enjoy. These images are of the Holiday Club on Wednesday 2nd August, where the activities included hand painting, house building, gluing and colouring; as well as singing, acting and story time. A totally interactive playtime; yes, across all generations! This image is of the Crib Service in December 2016, an extremely popular annual event; where the very young and also the not so young join together to recreate the joy and wonder of the birth of Jesus, in words, songs and prayers. This is always an event which leaves standing room only in the church; come early. A hugely successful Naturefest was held in the church on 2nd June 2017 saw a wide range of craft activities arranged for children of all ages. 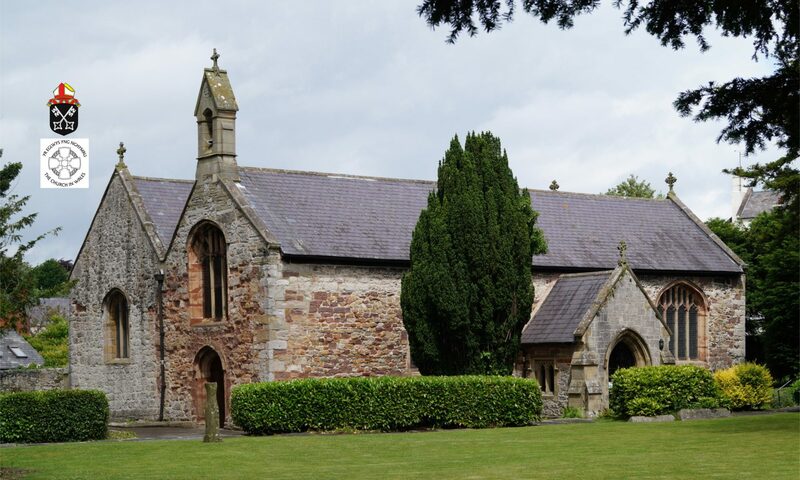 Numerous stalls were held in the church and also in the churchyard where various stalls became mini workshops for a variety of activities, including stone painting, wood painting, flower arranging, bird house building, and nature art. This was such an attraction that we must consider making it an annual event (volunteers welcome). Relationship with the Local Primary Schools. Members of the congregation of both the St Asaph Cathedral and the Parish Church kindly donated money to purchase a Bible for each of the year 6 children leaving Ysgol Esgob Morgan in July 2017. These children were all leaving to join seven different secondary schools and we wanted to give them a special gift on the occasion of such an important change in their lives.